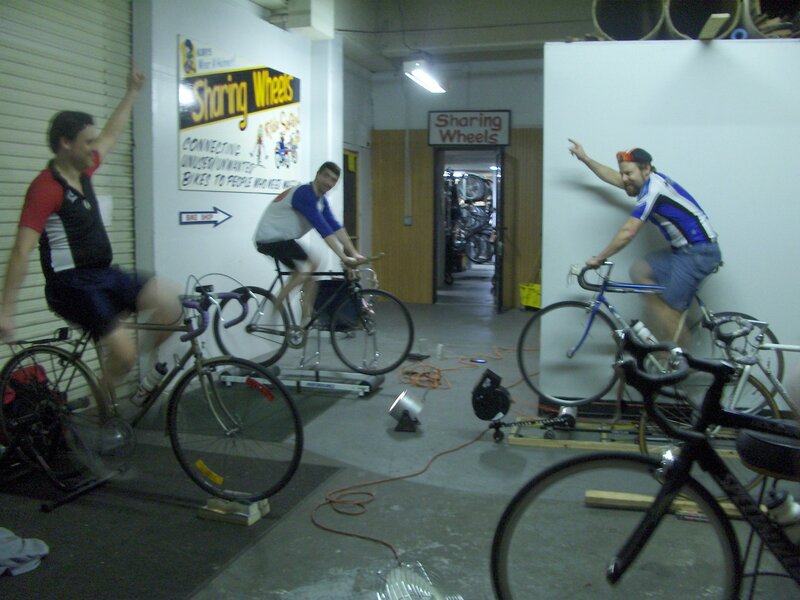 Mondays are Roller Night at the shop – time to Spin Indoors. Don’t let cold or wet ruin your fitness this winter. Bring your trainer or rollers – or borrow one of ours – and hammer with us in a nice dry, cool-ish garage. Music and encouragement provided. Not so much a class as group therapy for cyclists. Roller night is canceled on holidays such as Christmas and New Years. See our Facebook page for schedule updates.